According to Cooley, thirty-two tablets were discovered on a balcony next to the House of Galba (VII.8 or 9). See Cooley, A.E. and Cooley, M.G. 2014. 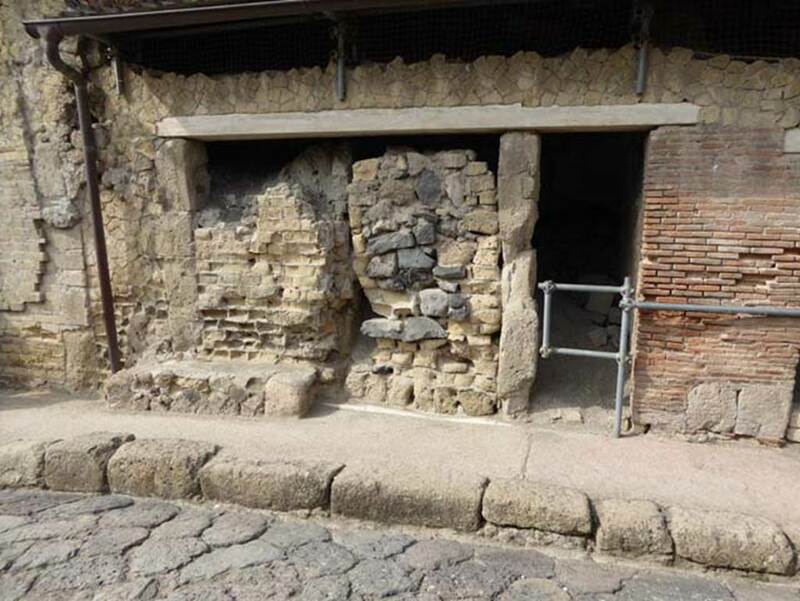 Pompeii and Herculaneum; a sourcebook. U.K. Abingdon, Routledge, 2nd ed. (p.212). 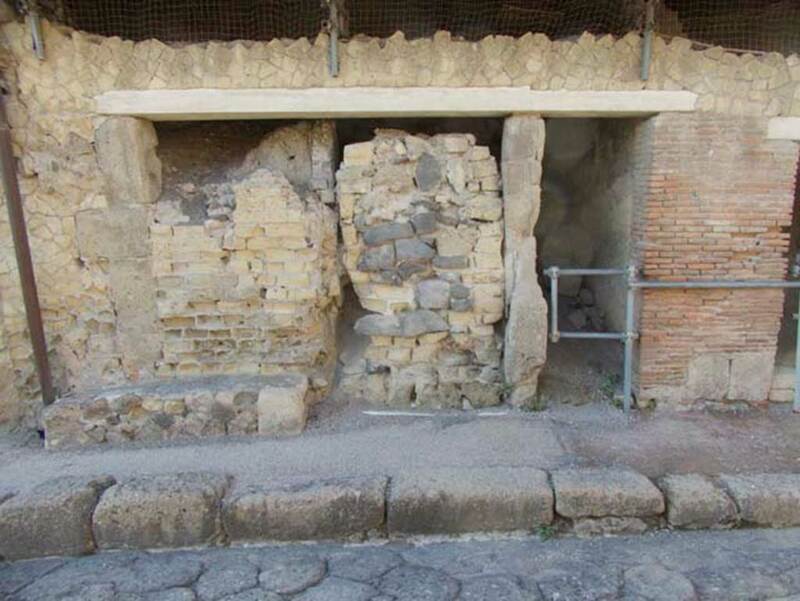 (There does not seem to be any evidence now of a balcony here, (other than the flattish tin roof) whereas the entrance at VII.3 (steps to upper floor) and VII.5 is described as “steps to upper floor above House of Galba?, and the property at VII.17/18 would also have been next to House of Galba and had an upper floor). 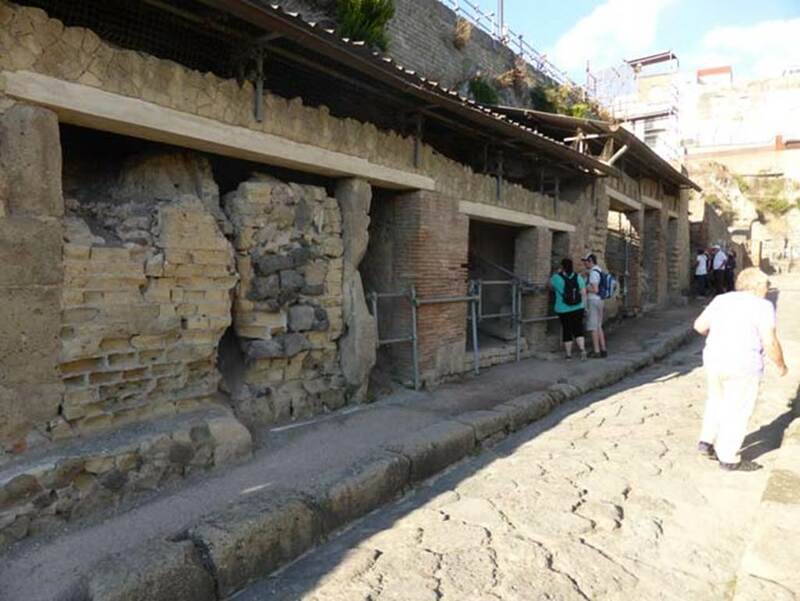 VII.8, Herculaneum, with bench outside, on left, September 2015. West side of Cardo III Superiore, looking north. 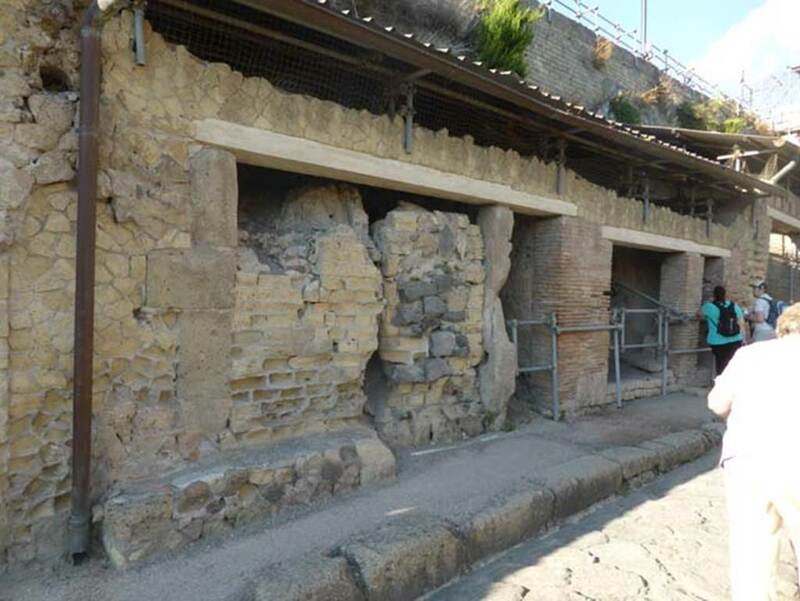 VII.8, Herculaneum, with bench outside, on left, September 2015. Looking towards bricked up doorway on west side of Cardo III Superiore. VII.8 Herculaneum, September 2015. Looking west to entrance doorways. Photo courtesy of Michael Binns. 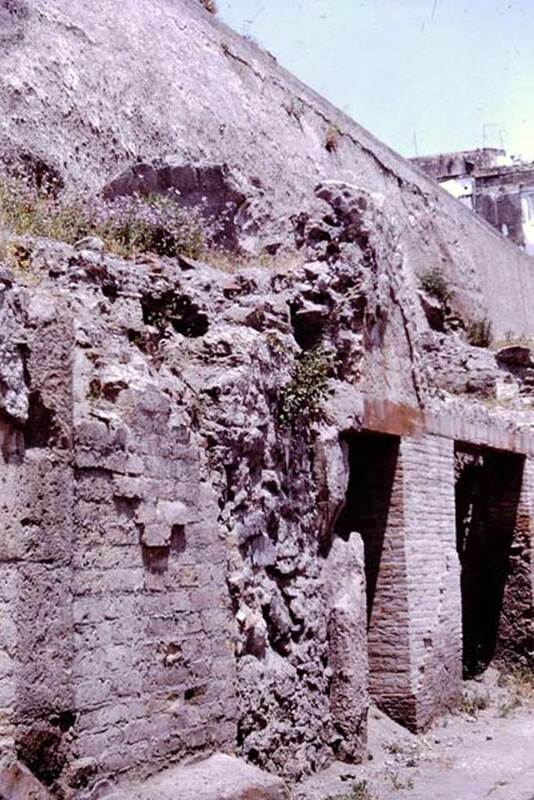 VII.8, 9 and 10, on west side of Cardo III Superiore, Herculaneum, 1964.